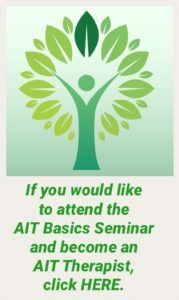 This past Saturday, November 17th, Asha Clinton, developer of AIT, presented an introduction to the Basics Seminar ONLINE with a Facebook Live. Enjoy again this presentation. If you want more information about the Basics Seminar, please CLICK HERE.